Gotta love all of the little nooks and crannies the girls find to hide in. Today Maia and Rana spent most of the day together. Maia and Guida had breakfast by the East Pond. That pond does have a name ‘Beleza Na Vida’ (beauty in life) for future reference. Later they made their way closer to the barn and bumped into Rana at a favorite tree. Guida got a little pushy with Rana over a palm that Rana didn’t want to share. Nothing big, just not exactly sweet. 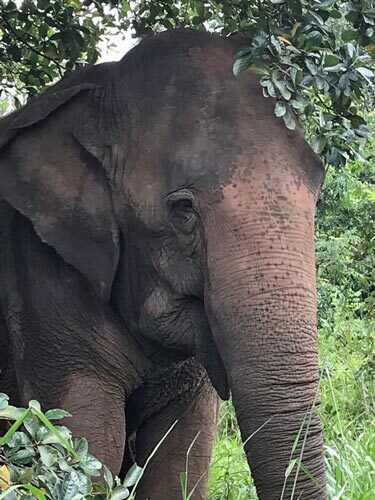 Once the palm was gone, all three ladies hung out for a while in the shade, with Rana slowly closing the gap between them so she could stand side by side. 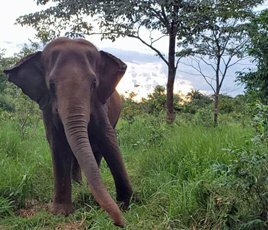 After a while, one by one they walked off and Guida ended up going off on her own while Maia and Rana headed East and spent a good chunk of the afternoon together. Late in the day, Maia went swimming on her own and for dinner ended up back with Guida. Everyone has their favorite elephant, the one they gravitate towards, but for us, we tend to have a soft spot for those who act out. We don’t approve of nor encourage Guida’s behavior or other ‘bad’ behavior, but we do know that in general, when an elephant acts out, two big reasons are because of insecurities or fear. Maia came labeled as the ‘bad girl’ and had hurt people in her past. It was a defensive, ‘I’m going to hurt you before you hurt me’ behavior that we’ve seen before. Winkie is another prime example. Her aggression had deep roots in fear, some stemming back from her younger years. Elephants can heal and move on, but some of their past is harder to shake than others. So when we see Guida very purposefully not being sweet, we know she is struggling. With what exactly, we can’t be sure, but there are many possibilities. We do know she has come a tremendous way in two years and that she will get through this as well and all three will grow from it. 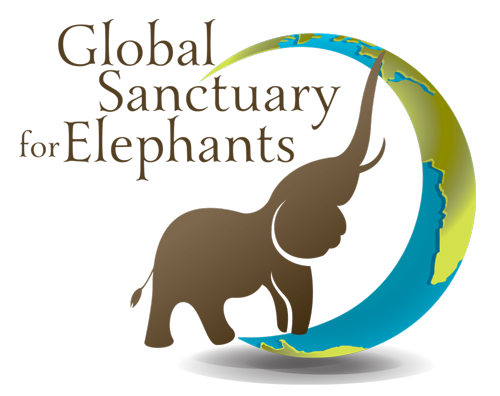 Nothing like a true sanctuary to heal damage done to these beautiful beings. They never forget, but can learn to trust good people again!! !